In this work we study relations between secret sharing and perfect zero knowledge in the non-interactive model. 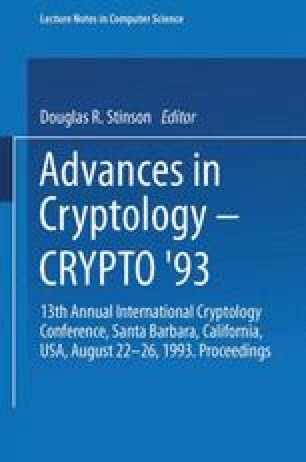 Both secret sharing schemes and non-interactive zero knowledge are important cryptographic primitives with several applications in the management of cryptographic keys, in multi-party secure protocols, and many other areas. Secret sharing schemes are very well-studied objects while non-interactive perfect zero-knowledge proofs seem to be very elusive. In fact, since the introduction of the non-interactive model for zero knowledge, the only perfect zero-knowledge proof known was for quadratic non residues. In this work, we show that a large class of languages related to quadratic residuosity admits non-interactive perfect zero-knowledge proofs. More precisely, we give a protocol for proving non-interactively and in perfect zero knowledge the veridicity of any “threshold” statement where atoms are statements about the quadratic character of input elements. We show that our technique is very general and extend this result to any secret sharing scheme (of which threshold schemes are just an example).